It’s a BEYOND THE CABIN Giveaway! 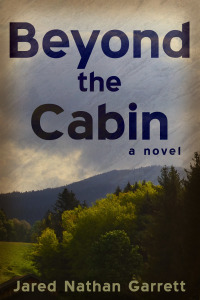 It’s time to give away a signed, numbered copy of the trade paperback of BEYOND THE CABIN! When the contest closes, I’ll use Random.org to randomly choose a winner. If you want your name entered twice on the list, you can share this post on Twitter or Facebook or some other social media, or even your website or blog! Just be sure to let me know somewhere in your comment where you shared and include a link! The more times your name appears on the list, the greater the chance of you winning the lovely copy of BEYOND THE CABIN! Last thing: the contest started right about Noon on Wednesday, the 3rd, so it will go a week and end on Wednesday, the 10th- at noon Mountain time. I was paddled by a middle school principal around 1981in Durham North Carolina for being an entrepreneur and selling store bought candy to fellow students at a moderate profit during breaks. The punishment did not fit the “crime”. Wow, no kidding. The principal should have had you give a guest lecture on profit margins and acceptable investment and risk! You’re on the list, Alif! Hmm, that’s some interesting stuff. I hope you learned your lesson! And that’s a tragic song to have anxiety about. You’re on the list, Jordan! I remember in class in elementary school I had to tell the class what time it was before we could go out to recess. Needless to say it was so much pressure we never made it out to recess. I will never put another person on the spot like that, if I can help it. I also posted on FB about your book. So so excited to read your book. That’s truly mean. Not nice to punish others when one person can’t do something. Lame! And you’re on the list twice! When we fought on road trips my parents would throw us out of the car and we’d have to walk a full mile down the side of the highway before we were allowed back in. Looking back, I’m a little surprised no one got hurt. Um, wow. A full mile seems like a lot. That’s serious business. But also a pretty good idea. Curious about how old you were when this happened. When I was younger I was a bit of a slob, leaving gum wrappers, used makeup remover wipes, snotty tissues (I know, gross) and other various trash around the house. My mom kept warning me to clean up after myself, but of course I continued my bad habit. Then on Christmas morning, she gave me a beautifully wrapped present complete with a bow on top: all of my trash. It was all there, and that was her present to me. It was a pretty good punishment though because I learned my lesson! Wow, that’s a great punishment! I might just try that too. You’re on the list! This is my Psych and Geometry teacher, right? Well I’m so glad you found me! I’m glad my Twitter stuff is showing up! My parents were sick of me and my sister bickering, so they made us share a bedroom for a month. In the end, we actually did learn to appreciate each other though.